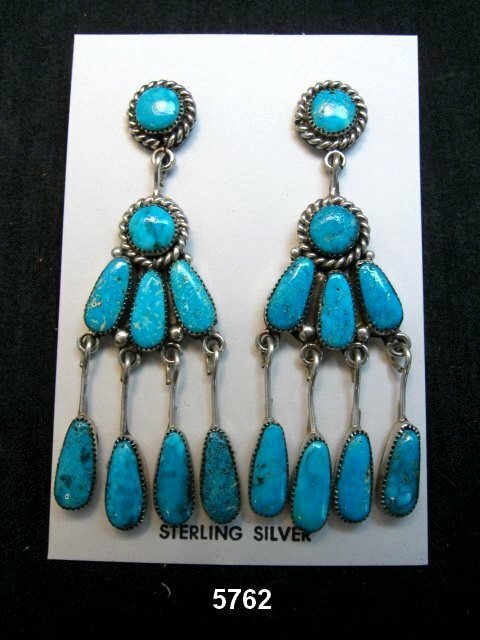 Up for your consideration is this beautiful pair of Native American handmade genuine turquoise sterling silver earrings created by the legendary Zuni artists, Robert & Bernice Leekya. 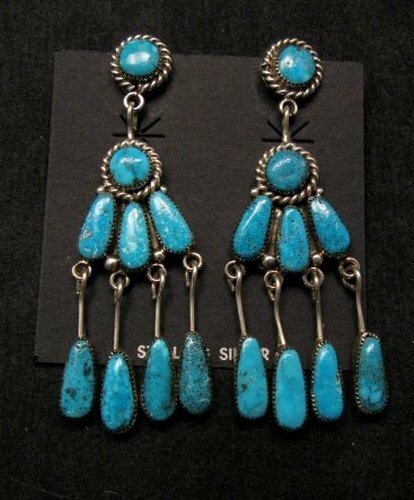 The earrings measure almost 3 inches long and they are set with natural Sleeping Beauty turquoise. Each earring weighs approximately 12 grams. Brand new and in perfect condition. Certificate of Authenticity and gift box included with your purchase. Hallmarked by the artists, with their distinctive RLB hallmark. Robert Leekya is the son of famous fetish carver Leekya Deyuse. Robert and Bernice are a very well sought after couple, with deep roots in the Native American Jewelry community. The Leekya's work is bought by collectors all over the world. Robert's father (Old Man Aque or Leekya Deyuse) is the world's most famous early Zuni Carver. Bernice's Father was Teddy Weahkee. The Leekya's are now elderly and they make only a small amount of high end items. The Leekya'a work is becoming increasing difficult to obtain due to Robert's recent health problems. 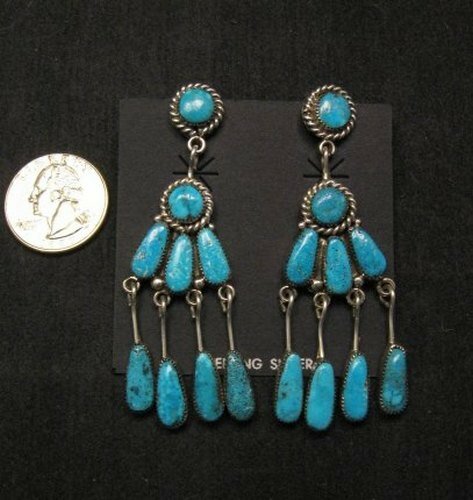 In addition, due to the closing of the Sleeping Beauty turquoise mine, the prices on any new jewelry that they make, reflects the increases in the price of Sleeping Beauty turquoise.